Megaupload founder Kim Dotcom may be extradited to the United States. The New Zealand Court of Appeal has determined this. In the US, the internet entrepreneur is likely to face a severe penalty for extortion, money laundering and copyright infringement. Dotcom is not yet put on a plane. He is going to challenge the verdict at the Supreme Court, writes Hope News. The 44-year-old Dotcom, born in Germany as Kim Schmitz, was arrested in Auckland, New Zealand in 2012, during a spectacular police raid on his country house. Dotcom hid in his safe room, where the police eventually pulled him out. Millions of dollars of cash were seized, computers, art and some luxury cars. Three other stakeholders, including his Dutch business partner Bram van der Kolk, were also arrested. Last year, a court ruled that Dotcom may be extradited to the US where a lawsuit awaits him. He appealed against it. He also wants to appeal again against this verdict, said Ira Rothken, his lawyer. 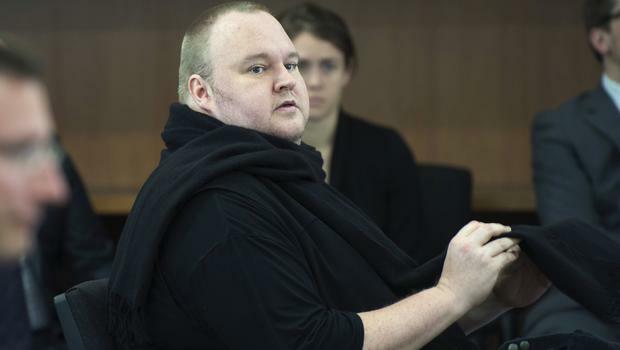 “We have not finished fighting, and we think Kim Dotcom will eventually win the case,” Rothken said. With Megaupload, large amounts of files could easily be shared. For this reason, the service was frequently used for sharing illegally obtained films and music, the cause for the arrest of Dotcom. Megaupload achieved a turnover of 175 million dollars (150 million euros), reports Reuters news agency. Film studios and record labels missed more than 500 million dollars.